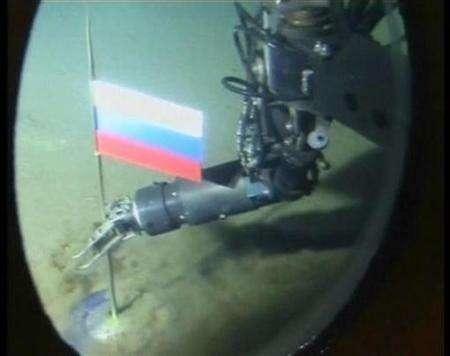 But what happens in the Arctic, doesn’t stay in the Arctic. The rapid disappearance of sea ice cover can have consequences that are felt all over the Northern Hemisphere, due to the effects it has on atmospheric patterns. As the ice pack becomes smaller ever earlier into the melting season, more and more sunlight gets soaked up by dark ocean waters, effectively warming up the ocean. The heat and moisture that are then released to the atmosphere in fall and winter could be leading to disturbances of the jet stream, the high-altitude wind that separates warm air to its south from cold air to the north. 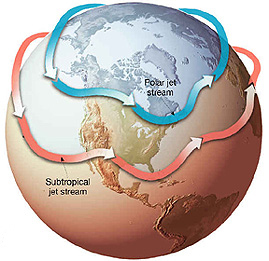 A destabilised jet stream becomes more ‘wavy’, allowing frigid air to plunge farther south, a possible factor in the extreme winters that were experienced all around the Northern Hemisphere in recent years. 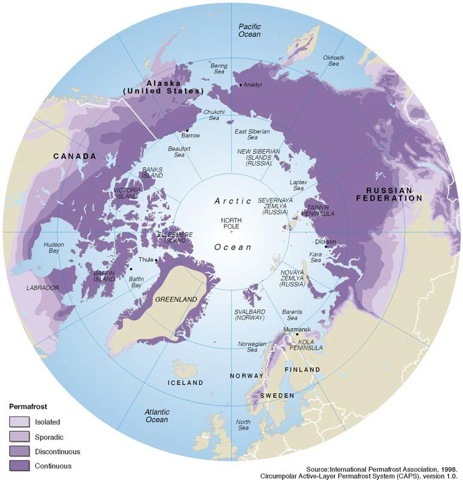 The accumulation of heat in Arctic waters also influences other frozen parts of the Arctic, such as glaciers and ice caps on Greenland and in the Canadian archipelago. As there is less and less sea ice to act as a buffer, more energy can go into melting glaciers from below and warming the air above them. 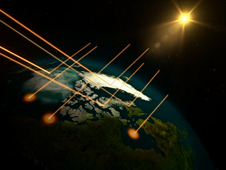 This has a marked effect on Greenland’s marine-terminating glaciers and the Greenland ice sheet. 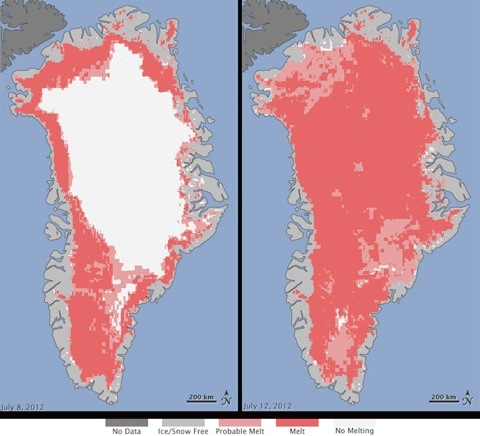 Not only are glaciers flowing faster towards sea, but there is also a rapid increase in the summer surface melt Greenland experiences, leading to accelerating mass loss from the Greenland Ice Sheet. As the Arctic warms, an increased contribution to sea level rise is inevitable. Another way Arctic warming could have worldwide consequences is through its influence on permafrost. Permanently frozen soils worldwide contain 1400-1700 Gigatons of carbon, about four times more than all the carbon emitted by human activity in modern times. A 2008 study found that a period of abrupt sea-ice loss could lead to rapid soil thaw, as far as 900 miles inland. Apart from widespread damage to infrastructure (roads, houses) in northern territories, resulting annual carbon emissions could eventually amount to 15-35 percent of today’s yearly emissions from human activities, making the reduction of greenhouse gases in the atmosphere a much more difficult task. News articles referring to the Arctic and its sea ice usually have pictures of polar bears accompanying the text. But although many animals in the Arctic will be impacted negatively by the vanishing of Arctic sea ice, much more is at stake. 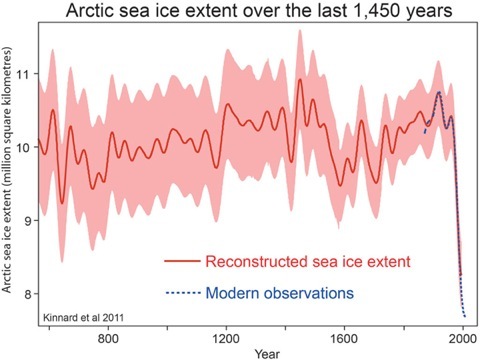 After thousands of years in which the sea ice played a vital role in the relatively stable conditions under which modern civilisation, agriculture and a 7 billion strong world population could develop, it increasingly looks as if warming caused by the emission of greenhouse gases is bringing an end to these stable conditions. Whether there still is time to save the Arctic sea ice, is difficult to tell, but consequences will not disappear when the ice is gone. It seems these can only be mitigated by keeping fossil fuels in the ground and out of the air. Whichever way you look at it, business-as-usual is not an option. 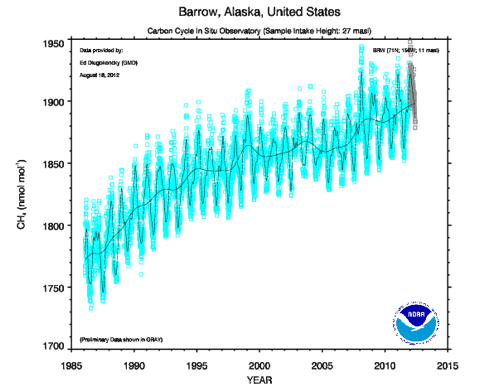 For more information on Arctic sea ice, check out Neven’s Arctic Sea Ice blog.